Pederson Custom Guitars NEW US Patent no. 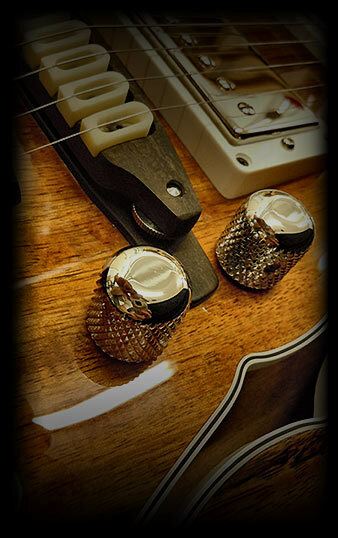 8,748,718 BONE Adjustable Bone Saddles are the first of their kind in the acoustic guitar world. 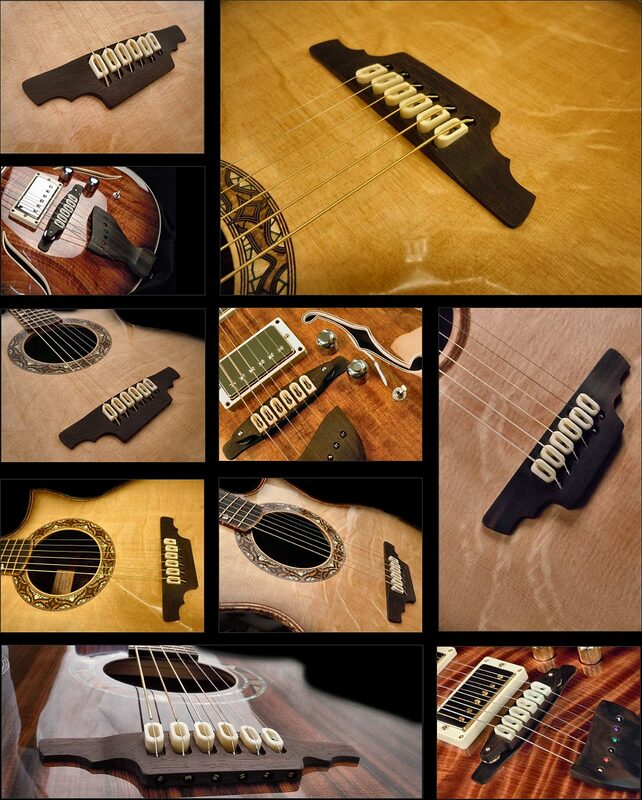 No other design is quite like the Pederson Custom Adjustable Acoustic Bone Saddles. Frankly, no other legitimate design exists for micro intonation adjustments. Foregoing the use of a larger wider heavier compensated non-adjustable slot saddle, I’ve basically taken that concept and turned it sideways. These six adjustable bone saddles are pretty much the same mass as a larger slot saddle. They are machined out of bone. The design of the bridge is pretty ingenious. It’s engineered in a pre-compensated fashion, similar in format to non-adjustable slot saddle designs. The slots my adjustable saddles sit in, the machine fastener layout and the break angle termination are compensated like a normal slot bridge layout. So BEFORE there are any adjustments done, my saddle format is pre-set to the industry standard slot bridge compensated layout. It’s close. From here, since my Patent Pending bone saddles are ADJUSTABLE, you can now fine tune the intonation so the guitar plays in tune after any action adjustments, different string gauge changes and/or from any seasonal/climate changes. Everybody knows when you change the strings action, you’ve just altered the guitars intonation.